One day our hooman was in a gud mood and started to draw a happy cat ... we think he was hepped up on goof ball drugs because this kitteh got derped. 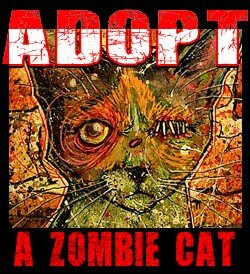 If you like this Derp Zombie Cat you can get one for yourself, custom colored by Byron too. 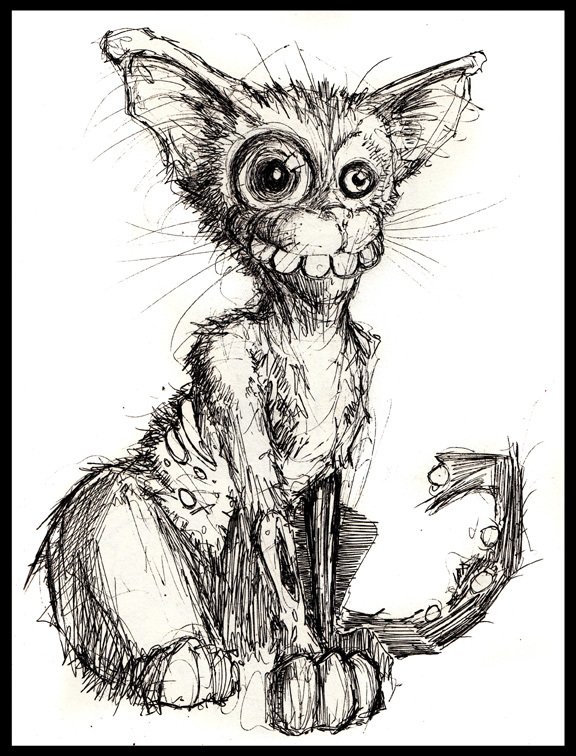 If you want to own the original Derp Zombie Cat drawing, contact Byron for info.